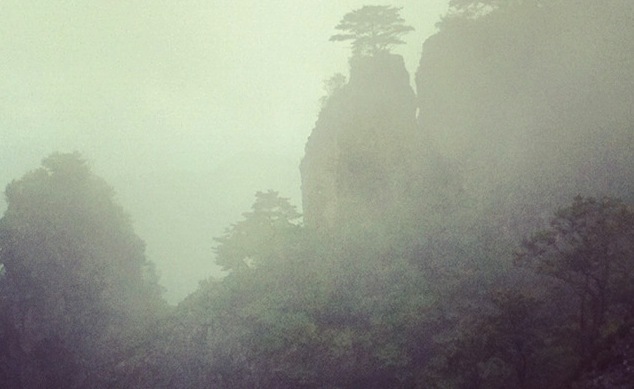 Some members of the Wonhyo Trail Committee spent the last week of September 2014 travelling through the mountains, meeting with abbots of temples and mapping the trail. 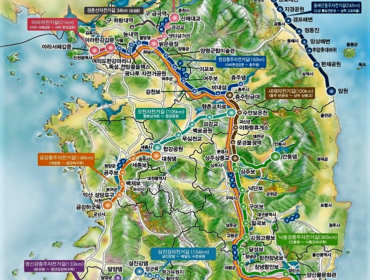 The trail is expected to run from Gyeongju, North Gyeongsang Province, to Wonhyo’s cave near Pyeongtaek, Gyeonggi Province. It is planned to link into the worldwide, growing trend for pilgrimages and spiritual journeys, and to offer Korea an opportunity for local development in rural areas. MacGregor said that the Wonhyo Trail Committee is growing in influence and strength with the addition of new individuals organizations, including the Seoul-based Millennium Destinations, which specializes in sustainable tourism development and promotion. 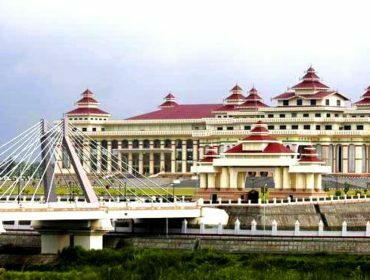 He added that the committee had talked to government officials and were developing a plan to involve local governments, particularly the provinces through which the trail passes, and the Ministry of Culture, Sports and Tourism, as well as national and international organizations interested in supporting the initiative. 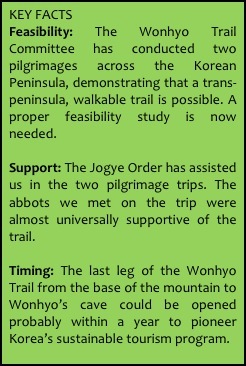 MacGregor said the Wonhyo Trail enthusiasts had made two pilgrimages. 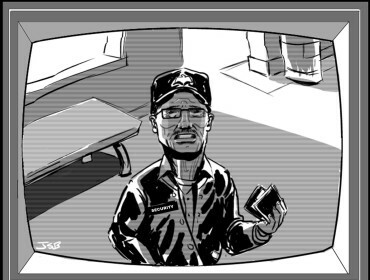 They made a film of the second pilgrimage. The ceremony at the end of the trips at Wonhyo’s cave involved drinking clean water from containers to emulate Wonhyo’s actions more than 1,300 years ago. 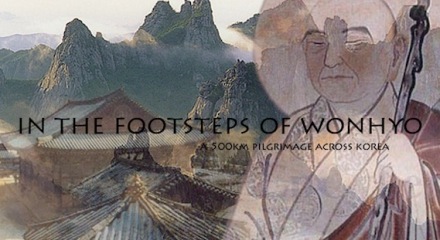 The film can be seen at the website in the footstepsofwonhyo.com. He said the pilgrimages were the first real attempt to emulate Wonhyo’s journey in 1,300 years. “Our hope is that the trail will develop and grow into a Korean version of Spain’s famous Camino de Santiago, offering pilgrims an opportunity to explore themselves as they travel by foot across the Korean peninsula,” he said. Tony MacGregor describes his life in Asia as like “wandering without a map.” He spent three happy years in Seoul, mostly editing at the Korea Times and Yonhap before leaving to study Buddhism at Mahachula University in Bangkok. He has spent much of his working life in journalism (columnist, newspaper and magazine editor and reporter, radio reporter, TV host).